Sequel strength: Looking ahead to the second half of 2015, it appears that everything old will be new again. Last week's column focused on what looked particularly strong in the New Year's first six months – starting with 20th Century Fox and Europa Corp's PG-13 rated action crime thriller "Taken 3,"which definitely kicked the year off on the right foot last weekend with its $40.4 million opening. Hollywood will hope to see some continuing momentum with this weekend's four wide openings -- Warner Bros. and Village Roadshow's R rated biographical action drama "American Sniper,"from Clint Eastwood ("Million Dollar Baby") at 3,200 theatres; The Weinstein Company's PG rated family comedy "Paddington," from Paul King ("Bunny and the Bull") at 3,000 theatres; Screen Gems' R rated comedy "The Wedding Ringer," from first time feature director Jeremy Garelick at 2,800 theatres; and Universal and Legendary Pictures' R rated action crime drama "Blackhat," from Michael Mann ("Heat") at 2,400 theatres. Looking now at July through December, we can see that sequel strength will play a key role in keeping the multiplexes humming. Mostly, the pictures that jump off release schedule pages as having the highest boxoffice potential are either new franchise episodes or reboots of earlier blockbusters. Here's a quick rundown of some big titles to watch for. 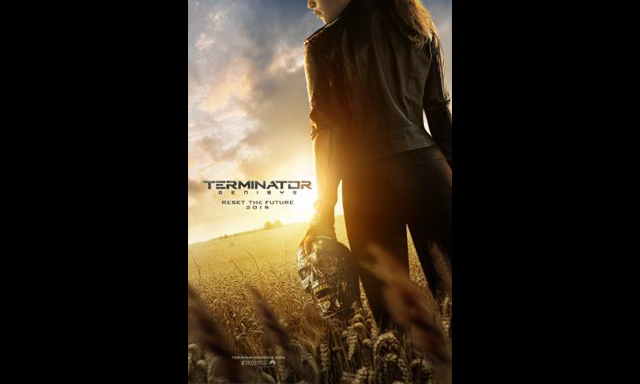 JULY: July Fourth is one of the year's prime moviegoing weekends and it should sizzle with the Wed., July 1 launch of Paramount and Skydance Productions' sci-fi action adventure "Terminator: Genisys." Directed by "Thor the Dark World" director Alan Taylor, it stars Emilia Clarke, Jai Courtney and Arnold Schwarzenegger. In a new time framewithin the blockbuster franchise's storyline, Kyle Reese (Courtney) joins John Connor's (Jason Clarke) mother Sarah (Emilia Clarke) and an aging Terminator (Schwarzenegger) in an effort to avoid the Judgment Day the future fears most. The "Terminator" franchise, which began as a surprise success in 1984, has thus far seen four titles gross $518.9 million in domestic theatres. The previous episode, "Terminator Salvation" opened May 21, 2009 to $42.6 million and went on to gross $125.3 million in domestic theatres. Two more episodes in the current "Terminator" series are already set on future release schedules – opening via Paramount May 19, 2017 and June 29, 2018. July 10 will bring another familiar franchise – Universal and Illumination Entertainment's 3D animated family comedy "Minions," the third episode in the blockbuster "Despicable Me" series. Directed by first time feature director Kyle Balda & Pierre Coffin ("Despicable Me 2"), it stars the voice talents of Chris Renaud, Pierre Coffin and Sandra Bullock. The new episode's story begins at the dawn of time as single-celled yellow organisms called Minionsare evolving and serving despicable masters. When they suddenly find themselves without someone to serve, the Minions become deeply depressed. Fortunately, one Minion, Kevin (voiced by Coffin),has a plan and ventures forth with teenage rebel Stuart (also voiced by Coffin) and lovable little Bob (Coffin, again) to find a new evil boss for the Minions to follow. "Despicable 2" opened July 3, 2013 to $83.5 million and ended up doing $368.1 million domestically. 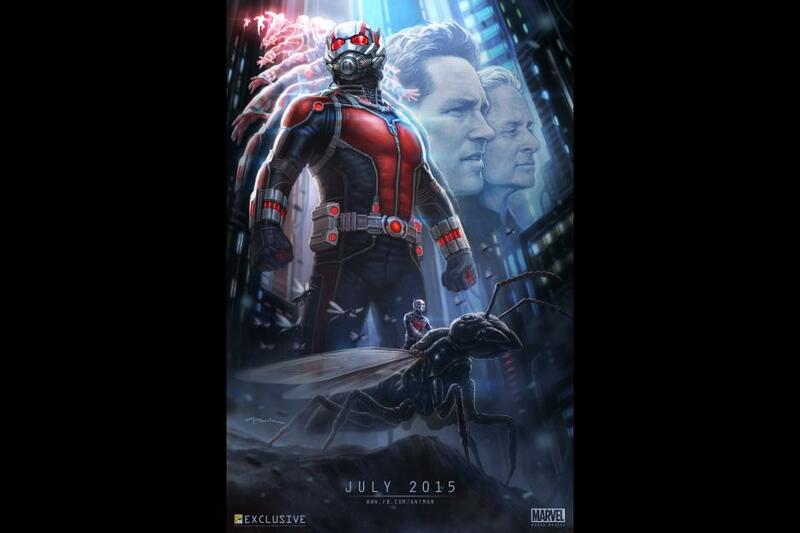 Marvel Studios and Disney's 3D sci-fi action adventure "Ant-Man," opening July 17, is an original, but being part of Marvel's superhero universe, it will have a helpful feeling of familiarity when it hits theatres. Directed by Peyton Reed ("The Break-Up"), it stars Paul Rudd, Evangeline Lilly and Hayley Atwell. When production began in San Francisco last August, Marvel announced: "Based on the Marvel comic character first published in 1962, Marvel’s 'Ant-Man' continues the lineage of epic big-screen adventures chronicled in Marvel's 'Iron Man,' 'The Incredible Hulk,' 'Iron Man 2,' 'Thor,' 'Captain America: The First Avenger,' 'Marvel’s The Avengers,' 'Iron Man 3,' 'Thor: The Dark World,' 'Captain America: The Winter Soldier,' 'Guardians of the Galaxy' and the upcoming 'Marvel's Avengers: Age of Ultron.'" The new franchise's storyline, per Marvel, puts moviegoers in a familiar superhero world where, "Armed with the astonishing ability to shrink in scale but increase in strength, con-man Scott Lang (Paul Rudd) must embrace his inner-hero and help his mentor, Dr. Hank Pym (Michael Douglas), protect the secret behind his spectacular Ant-Man suit from a new generation of towering threats. Against seemingly insurmountable obstacles, Pym and Lang must plan and pull off a heist that will save the world." AUGUST:Audiences will continue on familiar Marvel superhero ground with the Aug. 7 arrival of Marvel and 20th Century Fox's 3D reboot of the sci-fi action fantasy franchise "The Fantastic Four." Directed by Josh Trank ("Chronicle"), it stars Miles Teller, Kate Mara and Michael B. Jordan. Here, too, we're in the familiar world of superheroes as fereHhour young outsiders teleport into a dangerous alternate universe that horribly alters their physical form. With their lives irrevocably changed, they must learn to use their strange new powers while joining forces to save Earth from a one-timefriend turned enemy. SEPTEMBER: Sept. 1 willbring another original within a familiar genre with the launch of Universal, Walden Media and Cross Creek Pictures' 3D action adventure "Everest." Directed by Baltasar Kormakur ("2 Guns"), it stars Keira Knightley, Jake Gyllenhaal and Robin Wright. While "Everest" is an original, it helps that its disaster driven storyline has for years been a popular moviegoing genre. In this case, the story involvesa climbing expedition on Mt. Everest that is overwhelmed by a sudden blizzard. OCTOBER:Another familiar name turns up on theatre marquees Oct. 2 with 20th Century Fox and Davis Entertainment's horror thriller "Victor Frankenstein. "Directed by Paul McGuigan ("Wicker Park"), it stars Daniel Radcliffe, James McAvoy and Jessica Brown Findlay. This new take on the horror classic and the origins of its legendary monster is told from the point of view of Igor (Radcliffe), the troubled young assistant to and friend of the young medical student Victor Von Frankenstein (McAvoy). Steven Spielberg's presently untitled cold war spy thriller from DreamWorks SKG and Participant Media opens Oct. 16 via Disney. Directed by Spielberg ("Saving Private Ryan"), it stars Tom Hanks, Billy Magnussen and Amy Ryan. negotiate behind the scenes the release in 1962 of Francis Gary Powers, theU-2 spy plane pilot who two years earlierhad been shot down over Russia. While it's clearly an original drama, like any new film from Spielberg, it will arrive to high media visibility and a helpful feeling of familiarity because of its very high profile director. NOVEMBER:Nov. 6 is opening day for a film that also was untitled for a while when it was known simply as "Bond 24," but has since been announced as "Spectre." Directed by Sam Mendes ("Skyfall"), the action adventure spy thriller from MGM, Columbia Pictures and Eon Productions stars Daniel Craig as James Bond, Christoph Waltz and Ralph Fiennes. In "Spectre," a cryptic message from Bond's pastputs him on course to uncover asinister organization. While M (Fiennes) battlespolitical forces to keep the secret service alive, Bond peels back layers of deceit to reveal the terribletruth behind SPECTRE. Although each new Bond film is an original, collectively they're all wildly familiar as part of the blockbuster Bond franchise, whose previous 23 episodes goback to 1963's "Dr. No. "To date, the series has grossed $1.9 billion domestically. The previous episode, "Skyfall," opened Nov. 9, 2012 to $88.4 million and did $304.4 million domestically, the most ever for a Bond film. Friday, Nov. 13 will be the perfect opening date for Paramount and producer Michael Bay's Platinum Dunes' reboot of the classic horror slasher franchise "Friday the 13th. "Not much is known about the project at this point, but its cast reportedly may includeJared Padalecki, Amanda Righetti, Derek Mears and Steven Haar. In this latest take – fittingly, the 13th -- on the low budget franchise, which began in 1980, Jason Voorhees and hisrazor-sharp machete continue tohaunt Crystal Lake. There's been recent speculation that the film may use the "found footage" storyline approach that's become popular since 1999's "The Blair Witch Project." The 12 "Friday" and "Jason" episodes to date have grossed $380.6 million domestically. The previous episode, "Freddy Vs. Jason," opened Aug. 15, 2003 to $36.4 and went on to do $82.6 million. Nov. 20 will bring moviegoers out in force for the launch of Lionsgate and Color Force's second and final concluding episode in the blockbuster "Hunger Games" franchise – "The Hunger Games: Mockingjay – Part 2." Directed by Francis Lawrence ("The Hunger Games: Mockingjay – Part 1" and "The Hunger Games: Catching Fire"), its ensemble cast includes:Jennifer Lawrence, Natalie Dormer, Julianne Moore,Patina Miller, Elden Henson, Wes Chatham, Stef Dawson, Evan Ross, Gwendoline Christie, MichelleForbes, Josh Hutcherson, Liam Hemsworth and Donald Sutherland. The series' first three episodes have grossed $1.2 billion domestically. The previous episode, "Mockingjay 1," opened Nov. 21, 2014 and has grossed $329.5 million domestically through last weekend. Thanksgiving is definitely the right time to reach family audiences and Disney and Pixarwill target them with their 3D animated adventure "The Good Dinosaur," opening Nov. 25. It may be an original, but as part of the Disney/Pixar brand it's a familiar genre to moviegoers and, especially, to parents with young children. Directed by Peter Sohn, who made his directorial debut with the Pixar short film "Partly Cloudy,"its voice talents include John Lithgow,Frances McDormand, Bill Hader, Neil Patrick Harris, Judy Greer and Lucas Neff. "Dinosaur," according to Disney, "asks the generations-old question: What if the asteroid that forever changed life on Earth missed the planet completely and giant dinosaurs never became extinct? "The film is a humorous and exciting original story about Arlo, a lively Apatosaurus with a big heart. After a traumatic event unsettles Arlo's family, he sets out on a remarkable journey, gaining an unlikely companion along the way -- a human boy." DECEMBER:The holidays will be lively with a wide range of openings, including what by many accounts is already 2015's most highly anticipated release. The Force will be with moviegoers once again starting Dec. 18 when Lucasfilm, Disney and Bad Robot's sci-fi action adventure fantasy "Star Wars: Episode VII – The Force Awakens" lands in theatres. Directed by J.J. Abrams ("Star Trek Into Darkness," "Mission: Impossible III"), its ensemble cast includes:Peter Mayhew, John Boyega, Daisy Ridley, AdamDriver, Oscar Isaac, Andy Serkis, Domhnall Gleeson,Max von Sydow, Harrison Ford, Carrie Fisher, MarkHamill, Anthony Daniels, Kenny Baker, LupitaNyong'o, Gwendoline Christie, Pip Andersen and CrystalClarke. As to "Awakens'" storyline, all Disney is saying for now in its marketing materials is that Lucasfilm and Abrams "join forces to take you back again to a galaxy far, far away as 'Star Wars' returns to the big screen..." The story takes place 30 years after 1983's "Star Wars: Episode VI – Return of the Jedi." Another powerhouse franchise to help wind up the year on the right note is Paramount, Bad Robot and Skydance Productions' action adventure thriller "Mission: Impossible 5." Directed by Christopher McQuarrie ("Jack Reacher"), it stars Tom Cruise, Jeremy Renner and Paula Patton. Here, too, storyline details are still being kept under wraps, but at this stage of the franchise moviegoers certainly have a pretty good idea of what to expect. The first four episodes in the series, which began in 1996, have grossed $739.8 million domestically. The previous episode, "Mission: Impossible – Ghost Protocol," opened Dec. 16, 2011 to $12.8 million and did $209.4 million domestically. Bottom line:2015 should generate the boxoffice heat wave Hollywood's been hoping for.